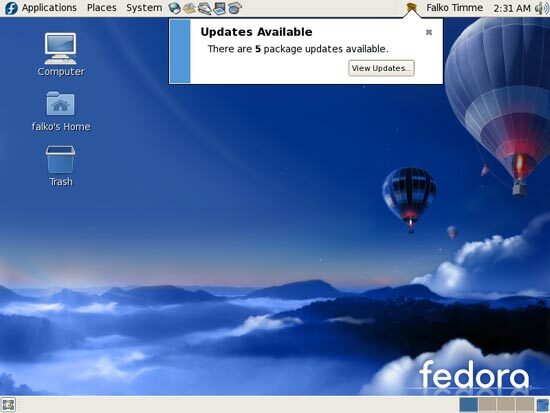 There is a new version of this tutorial available for Fedora 17. 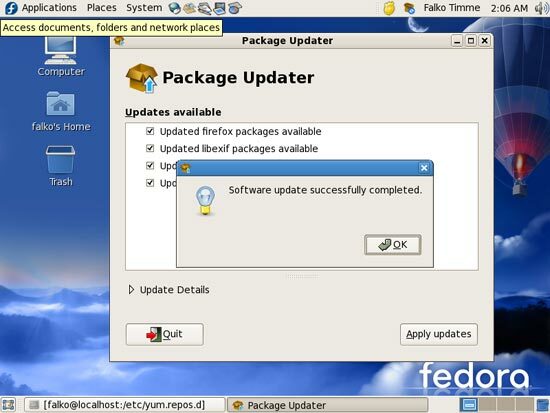 What we do now is this: we open the configuration files for Fedora's online package repositories and disable GPG checks for downloaded packages. If we don't do this, we will get Unable to verify ... errors whenever we want to install/update a package, resulting in a failure of the whole operation. Afterwards, click on OK to leave the Package Updater. 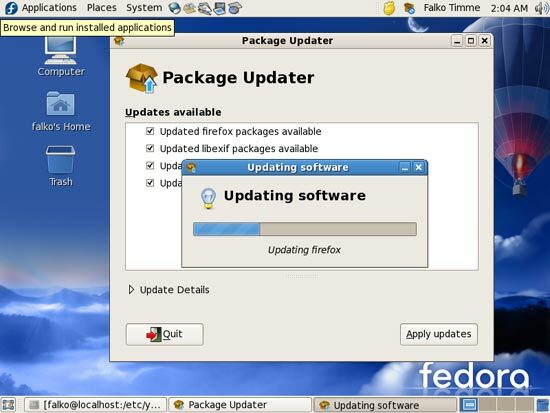 In some cases it's possible the the Package Updater asks you to do a reboot (e.g., if the kernel has been updated). Your system is now up to date. The official Fedora repositories don't provide all the software we need. 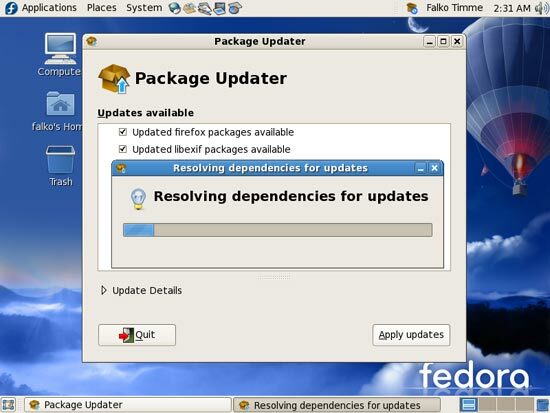 Fortunately there are also third-party repositories for Fedora 7 (mostly maintained by volunteers) that have what we need, and we can make our system use these repositories. This adds the FreshRPMs repository to our package manager.